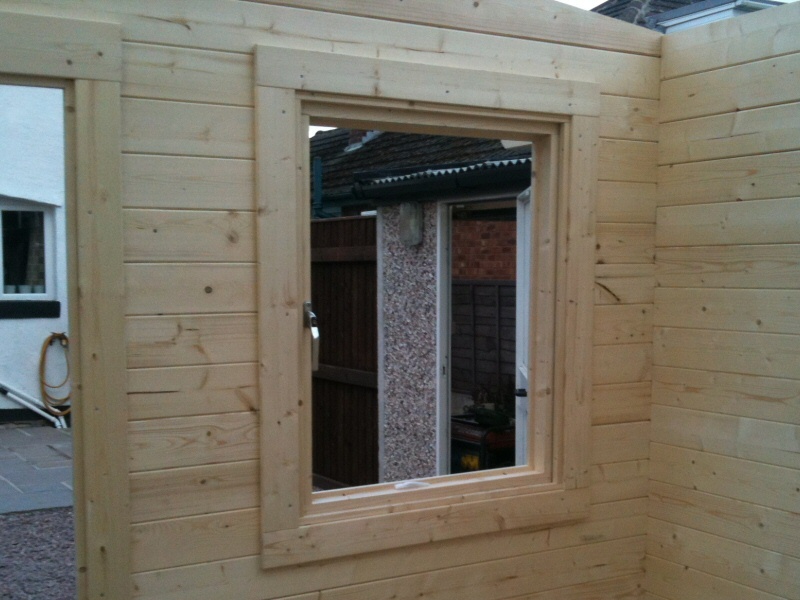 Log cabin installed as an outside office with electrics to a property in the Blackpool areaIf you're considering a log cabin, J C Joinery can help with some or all of creating foundations, supplying the cabin, assembling it and fitting out with electrics, gas, water and furnishings. 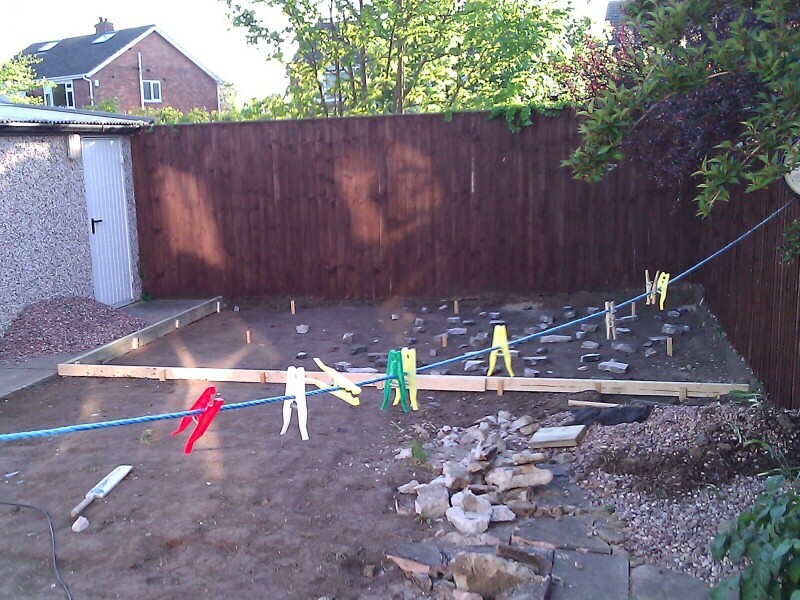 To ensure the integrity of your building, we can create concrete or steel bases and foundations. 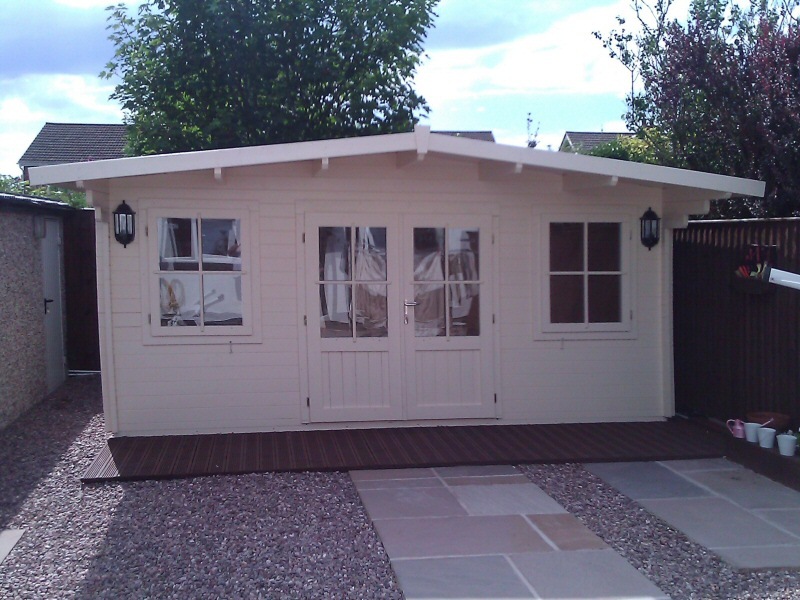 Summer houses, hobby rooms, garden offices, saunas, tree houses	, stable blocks and even full residential homes can all be supplied in kit form. As you can imagine, these can comprise of 1000s of pieces. 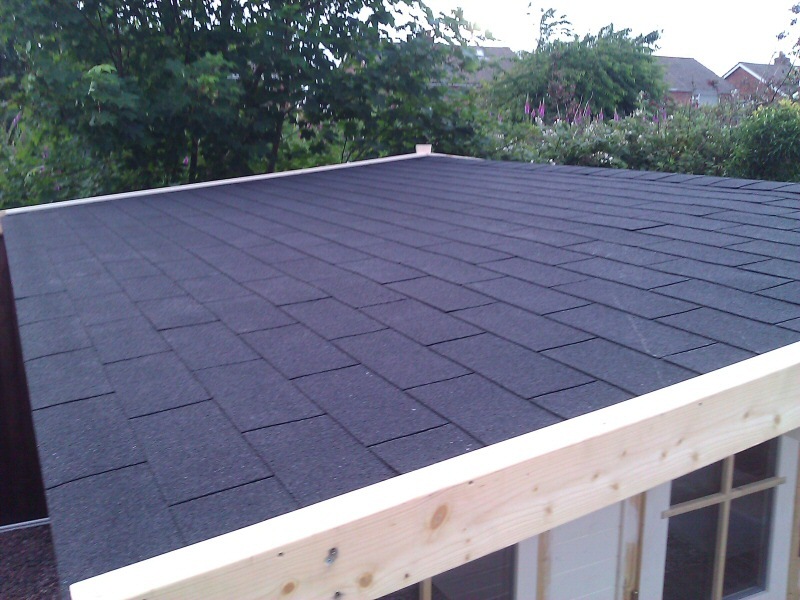 We're skilled erectors and can assemble your purchase and make it watertight and usable with the minimum of fuss. Once erected, we can fit it out to suit your needs. You name it, we can do it all, literally! From electrics, telephone, internet and alarms systems, solar heating and / or power, wood burning stoves and water supplies to carpeting and even putting up blinds, we'll leave you with a clean, tidy and finished space ready for use. We'll provide reliable builders, joiners, plumbers, electricians and all other trades and make sure they're on time and all singing from the same hymn sheet. Commercial Work also undertaken on log cabins for business premises and work buildings. 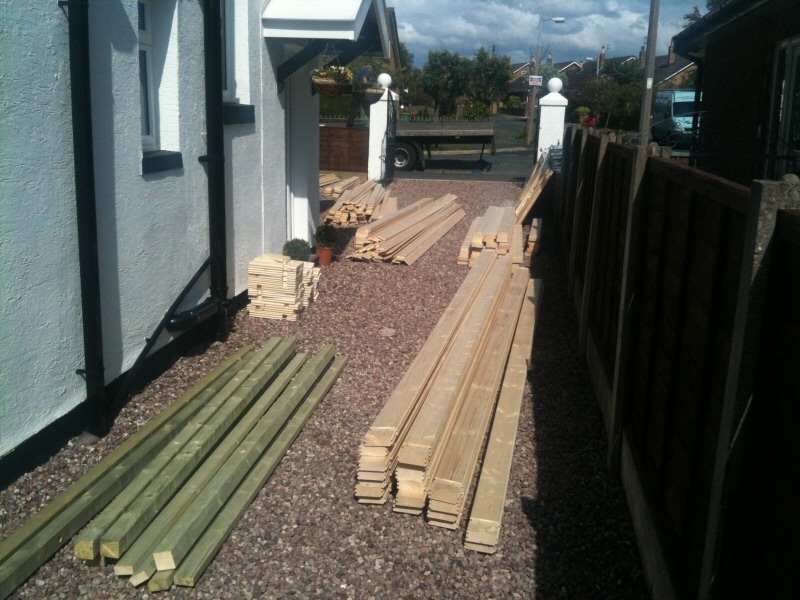 Of course, if you just need assistance on one aspect of your project, just call on J C Joinery for the required bit. With J C Joinery, you can be assured of Log Cabins finished to a high standard, using quality materials and at a reasonable price. We're fully insured and only use reliable time-served tradesmen, backed with relevant certifications such as Part P and Gas Safe registration. All work will be done in full compliance with building regulations and industry best practice and relevant certificates will always be issued where required. Want to know what else you can expect from J C Joinery? Take a look at Our Approach to see what makes us different. 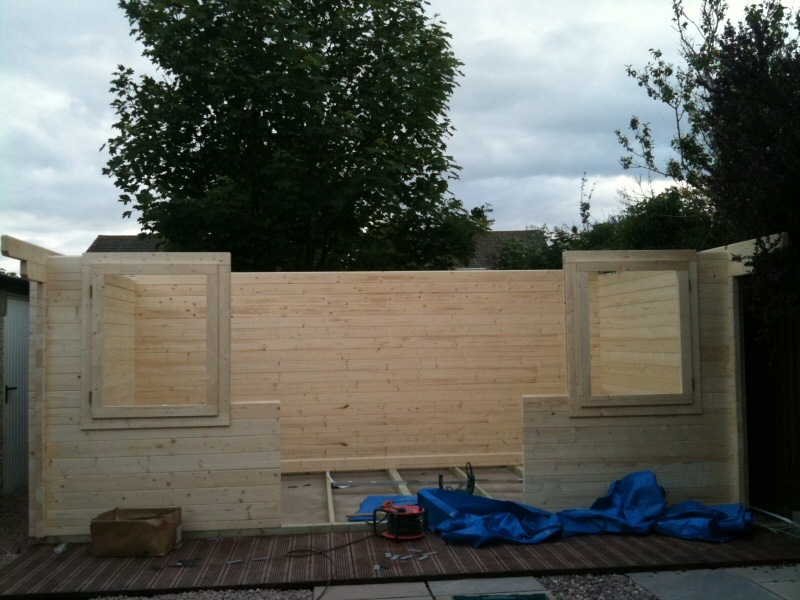 For examples of our Log Cabins work, have a look through our Photo Gallery below. References from previous customers are also available on our Testimonials page. 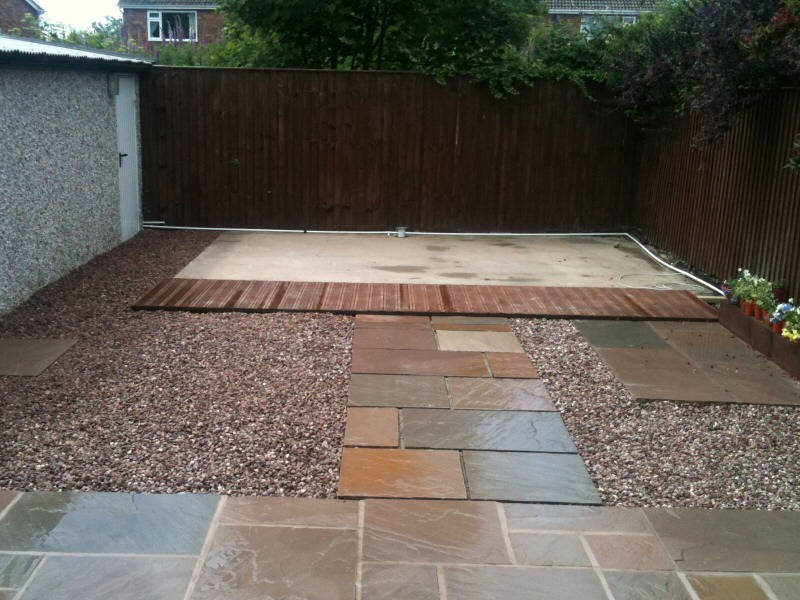 We welcome the opportunity to quote for commercial work. We offer competitive pricing and will manage the project to fit in with your budget and timescales. Please give us a call to discuss your needs. J C Joinery are based in Thornton Cleveleys on the Fylde Coast in Lancashire and are well placed to serve local homes and businesses in Blackpool, Preston, Lancaster and surrounding areas, including: Fleetwood, Lytham, Kirkham, Garstang, Chorley, Leyland, Blackburn, Burnley, Morecambe, Poulton-le-Fylde, Thornton and Over Wyre. For commercial work and larger domestic work, we also operate throughout the North West, including: Manchester, Bolton, Wigan, Liverpool, Chester, Widnes, Warrington, Southport, Skelmersdale, Bury, Stockport, St Helens, Accrington, Oldham, Bacup, Oswaldtwistle and Macclesfield.